This is the fundamental question in any endeavor – why? Why do this? Why are we doing this? W. H. Y.? What exactly is the big deal about this whole concept of People Analytics, also known as Workforce Analytics (aka HR Analytics)...??? The story starts with a simple fact – you cannot ignore digitalization and stay competitive in business, let alone be a market leader in any business. We live in a world where a smartphone app can change the market landscape in a matter of weeks. Love it or hate it – you can’t ignore it. Improved workforce productivity and performance, enhanced employee experience and wellbeing, and better HR reporting at a strategic level, are essential to the success of organizations and their ability to survive, now and in the decades to come. All this comes at a time when talented and highly skilled employees are not just becoming harder to recruit and retain, but actively rethinking their desired relationships with employers. So, the HR has to go digital; and as organizations look to cope with these changes, they are embracing the workforce analytics at ever greater pace. These analytics can be used to improve workforce productivity, enhance employee experience and wellbeing, and increase the impact of HR overall. Undoubtedly, workforce analytics is central to the future of HR, as it lies at the heart of initiatives to personalize the employee experience, optimize organizational design and improve team collaboration and effectiveness. Most organizations still operate in hierarchical 2.0 mode, while the modern HR has reached the 4.0 stage. The HR 4.0 now has the capability to influence business decisions, by providing data-based, timely and exact business insight. The HR 4.0 can provide the CEO and other C-level decision-makers with data-based facts to make the key business decisions, instead of relying on the “gut-feel”. People Analytics brings the paradigm shift in how business decisions are made, how risk is evaluated and ultimately what business impact an organization will have. We are no longer talking about the need to have HR at the table in l'art pour l'art HR terms. People Analytics finally gives the HR that truly strategic role... and a seat at the table. This conference and the subsequent Masterclasses bring you the blueprint on how to successfully implement HR Analytics at strategic and tactical/ops level. You will hear real-life examples form the giants like Amazon, as well as some of the World's leading academic and business minds in the field, presenting data-based facts & figures, trends & tendencies for the near, mid and long-term outlook of the Future of Work. Technology is changing the world of work and big data plays a key role in the process. Sorting out the “ocean of information” is the game-changer. HR analytics is not yet-another-hype, but a trend that is growing and is here to stay. It is increasingly becoming the “way we do things around here”. If you don’t have the right data – you are uninformed. If you have too much of unsorted data – you are overwhelmed. As a busy HR person, you can’t afford either. The quality of your decisions has a direct and lasting impact on your organization. The HR analytics provide a solution to that challenge. HR & PEOPLE ANALYTICS FORUM 2018 is a double-stream conference dedicated to presenting, understanding and embracing the use of data-driven analytical approach in HR function, and business as a whole. The data-driven decision-making process is recognized as the key differentiator in today’s workplace, giving companies who apply it properly a substantial edge. London, Amsterdam, Berlin, San Francisco and NYC are regularly hosting world-class HR analytics conferences ever more often. We wanted to bring some of that world to you, to Budapest, to Hungary, V4 region and neighbouring CEE countries. The HR & PEOPLE ANALYTICS FORUM 2018 is the first HR analytics conference in Hungary and (to our best knowledge) in the V4 region. Presentations you will hear are from real world, delivered by people like yourself - colleagues and peers from top companies in Hungary and the V4 region. They will talk about REAL projects, REAL challenges, REAL issues, REAL success & failures and REAL people. No death by Power Point! This workshop is suited for HR professionals who are looking to develop the essentials of workforce/people/HR analytics and who want to be effective as an HR professional. It would be suitable for HR Business Partners, HR professionals in any function (recruitment, learning, compensation, etc) and any analytics professional that is looking for clarity and simplicity. 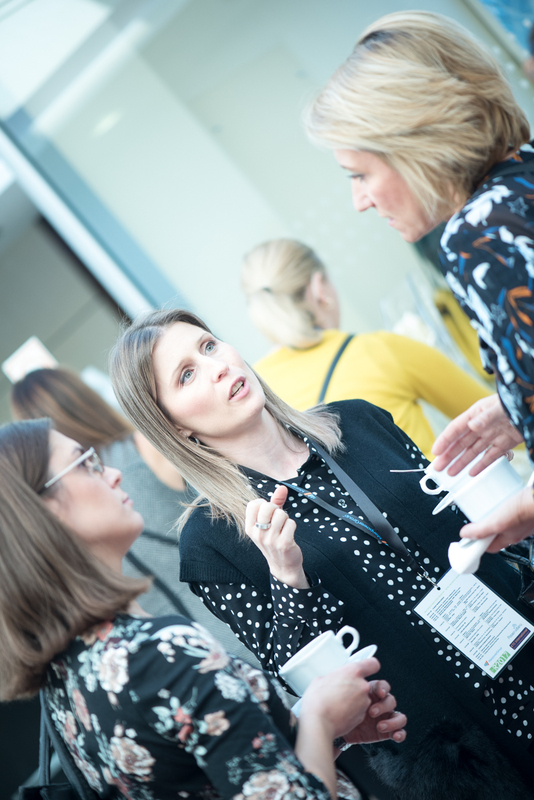 The workshop will focus on 'why' undertake analytics, focusing on 'the business', how to use your skills and identify those you don't have and how to communicate analytical messages. This workshop will not focus on statistics or deep analysis of data. It will, however, put you at ease that analytics does not need to be complicated. You will benefit by learning about strategic-level importance of HR 4.0 and People Analytics. You will be empowered to widen your CEO’s and other Senior Managers horizons, by pioneering successful change management initiatives. You will have data-based facts that will enable you to shift the organizational mindset from fixed to grow. You will have data-based business insights, that will enable you to present outcome scenarios to your Board. You will earn the seat at the table! You will benefit by seeing and hearing the real stories, from the real people at operational-level of running the People Analytics Teams and departments. You will learn about the best practices in data-collection and processing, data-visualization and story-telling. You will become the most trusted adviser to your CHRO on value of data-based recruitment, talent-management, employee –satisfaction and retention, reward strategies benefits and much more. You will benefit by learning about operational-level implementation projects of People Analytics solutions; the mistakes that others made (so that you won’t). You will be presented with step-by-step processes, the challenges and roadblocks the team encountered along the way, how they’ve gained the stakeholders support, what worked and what’d didn’t and their lessons learned on these projects. Probably it’s self-evident by now, albeit we’ll say it – you will have an all-day access to some of the very top HR decision makers and influencers in this part of the world and beyond. You will have an opportunity to network with not only delegates, but speakers, panelists, prominent journalists and bloggers and many of global Top10 minds in the field, from around the world. Naturally, you’ll get your exhibition space right in front of the main conference hall. ∙ Key-notes by leading global HR analytics influencers, providing strategic overview, trend & tendencies and insight into the global state of People Analytics. ∙ Case-studies from corporate HR sector, showcasing implementation projects for particular HR analytics solutions, issues and challenges faced along the way and the lessons learned from the process. ∙ Experts' presentations, demonstrating research results from the top-level academic sector – university professors and data-scientists in the field of human analytics. ∙ Outside the conference room, the HR Tech Expo gathers various solution providers , displaying a plethora of products and services, suited for organizations of any size and nature – from SMEs to Fortune50 corporations. HR 4.0, People Analytics, Workforce Analytics, HR Analytics… to some it might sound “Chinese”. Then let us add the data-visualization, AI, Robotics into the mix, top it with a huge those of IT… and you might ask - are we here to “talk HR or what?! ?” Yes, off course we are here to talk HR and the key-note speakers you will see and hear will do exactly that. They are here not only to give you the high-level overview of the global state of affairs in terms of adoption rates of analytics in HR, but also give you guidance and vision to what really matters and what doesn't, what's important and what's "hot air". David Green said Never forget the “H” in HR! and we will have that notion as our guiding principle throughout the conference. David is a globally respected writer, speaker, conference chair and executive consultant on workforce analytics, data-driven HR and the future of work, best known as THE most influential figure on People Analytics in the World today. University Professor and CHRO, Marielle combines business and academic experience in HR, Talent Management and analytics, which inspires her to synergise best-in-class analytical approaches with practical business challenges for maximum impact. 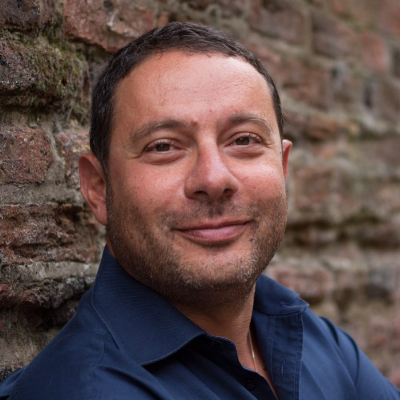 After spending 12 years with roles including Director of Internal Communication for British Gas, ICI plc and Rolls-Royce, Ghassan founded Karian and Box in 2006. 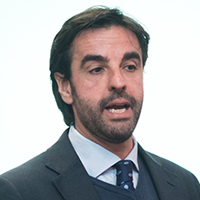 Ghassan is acclaimed speaker and expert on communications strategy; employee engagement strategy and campaigns, employee measurement; channel development, creative management and workforce analytics. Luk is an experienced CHRO who has lead complex transition projects for compelling blue chip companies. Luk is passionate about quantifying and predicting the business impact of people investments. Predictive workforce Analytics is all he does and he is widely recognized as one of the few European top HR intelligence experts. He is the Co-Founder of HR Analytics think-tank iNostix by Deloitte. Globally-respected author, speaker and influencer in HR strategy, workforce analytics and the Future of Work. He specialises in helping HR leaders become more analytical in their decision-making by building effective and business-relevant analytics functions. Jonathann is the Founder & CEO of OCHRE ROCK, an HR Analytics consultancy based in London, UK. And here we are - where the rubber meets the road. Real people – HR colleagues, talking about their projects and their people, what they've done, how they've done it, what worked for them and what didn’t. What they’ve learned along the way, how they’ve managed change and resistance and much, much more. You will also get quality insights into research projects conducted by some of the most brilliant scientific minds, PhD’s, university professors and data-scientist will present their findings and its practical applications in corporate arena. Human Resources Executive with more than 20 years of proven cross industry experience in Finance, FMCG and Oil & Gas sector working in multinational environment and for large organizations. 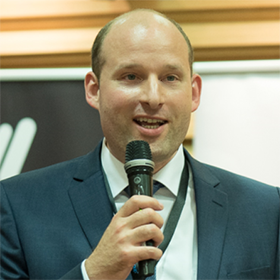 Sjoerd van den Heuvel, PhD. Honest, reliable and dedicated People Analytics researcher, teacher, and speaker. Holding a Ph.D. degree in Human Resource Management. Connecting the science and practice of People Analytics. With 15 years on the HR market, 100+ Fortune500 companies served, 7 books on OD, over 15 HR tools produced, 3 HR startups and hundreds of students educated, Barbara's mission is matching people science and data for better business results and work innovations. 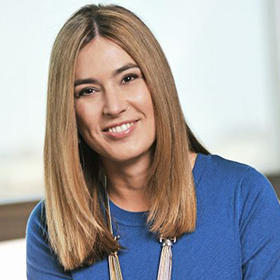 Senior HR Leader in charge of the Erste Group's operations in Hungary. Laszlo is a seasoned HR professional with over 22 years corporate background in HR arena, having served as top HR executive of ING Bank, SAP, BNP Paribas and PwC throughout his career. 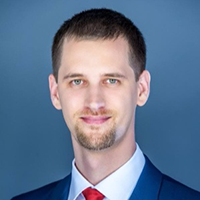 Mateusz is a senior People Analytics expert at Amazon regional HQ in Czech republic. He’s technical background specialties include Big Data, Tableau, DataBases, Amazon Web Services, Python, SQL (Oracle, Redshift, HIVE) and Lean Manufacturing. 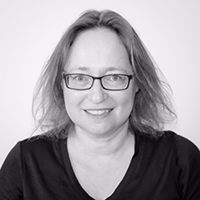 With more than 20 years under her belt, Littal gives a unique perspective on links between People Analytics, Business and Project Management, bringing Data Science into HR activities, to guide organizations to base decision-making about people on data. Critical thinker, results driven and dedicated HR professional. 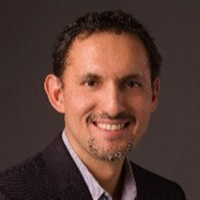 With strong business ccumen and collaborative approach, Juan has a proven success in delivering business results through people strategies, HR analytics and enterprise systems. Zoltan has international reward consulting experience, having worked for corporations as Vodafone, Hay Group and Penta Investments. He is passionate about understanding drivers of human motivation, developing new approached and improving employee experience. Fran is popular Ted and conference speaker, best known for his remarkable work in the field of Organization Design and HR Strategy. He serves as a mentor to CEOs and other senior executives and as an MBA brings a unique business perspective to HR. He's a highly sought-after consultant and workshop facilitator, best known for Agile Organization Design & HR Transformation series. Global HR Leader / HR Business Partner with 16+ years of experience in Technology & Engineering industry, Sukumaran has expertise in People Analytics, Strategic HR Business Partnering, Acquisition, Divestiture, Talent Management, HR transformation, Coaching Managers, C&B, Leadership Development and Recruitment Process Outsourcing (RPO). Dynamic, facilitator of change and Millennial Expert recognized as a leader on generational diversity and implemented the culture change project within limited budget to support workforce generation diversity, and spoke about Millennial generation in global HR conference and summits. Senior professional leader with 17+ years of experience in Management, leadership and HR. DAY 1 features morning plenary session with distinguished key-note presentations followed by 2 parallel tracks with 6 expert presentations and corporate case-stuies on each track. The conference ends with a panel-discussion and the closing key note by David Green, again in plenary session. DAY 2 brings us 2 outstanding masterclasses focusing on practical application of people analytics. It's advisable to come early, as there are 300 delegates to be registered. The conferences will commence at 09:00 sharp, in order to meet the event schedule. Jonathan Ferrar is a respected consultant, speaker, author and business advisor in HR strategy, workforce analytics, and the Future of Work. He advises clients on how to establish human resources strategies that will improve business performance and help HR leaders become more analytical in their decision-making. In particular, he advises Boards & CEOs of HR technology and HR analytics companies. Jonathan was listed as one of the global “Top HR Analytics Influencers” on LinkedIn in 2014, as one of the “15 HR and People Analytics Experts to Follow” by Jibe in 2016 and as one of the 20 Experts in People Analytics by Sage People in 2017. He is the co-author of the workforce analytics book “The Power of People” (Pearson FT Press, May 2017). Jonathan has worked for over 25 years in corporate business and for eleven of those years in executive and VP roles at IBM. He has led global teams, held P&L responsibility, managed multi-$100Ms budgets and advised Chief HR Officers at some of the world's most highly regarded companies. After working and living in New York for almost seven years, Jonathan returned to the UK in late 2016 to be closer to his family and to set up his own company Ochre Rock Ltd. He is a board advisor to people analytics companies TrustShpere and Alderbrooke and a co-founder of the analytics networking and services company Insight222. He holds degrees from the University of Cambridge, UK and a Diploma in Human Resources Management from Kingston Business School, UK. He is a Chartered Fellow of the Chartered Institute of Personnel and Development. Jonathan is an avid landscape photographer with the distinction of a Licentiateship of The Royal Photographic Society. On his business travels he is often found with his camera in hand. David Green is a globally recognised and respected influencer, speaker and writer on people analytics, data-driven HR and the future of work. He has spoken at and/or chaired conferences as well as worked closely with people analytics leaders in 25+ cities around the globe over the last 18 months including Sydney, London, Paris, Singapore, New York, San Francisco, Moscow, Helsinki, Amsterdam and Berlin. This imbues David with a unique perspective and insight into what's working, what's not, and what's forthcoming in the field of people analytics. David’s role as Global Director, People Analytics at IBM enables him to deliver people analytics solutions to clients across the full range of IBM’s analytics, data and workforce science solutions. These include employee listening, behavioural and skills assessments, predictive and cognitive analytics solutions and consulting services. David is based in London, but his remit covers the globe. Prior to IBM, David accumulated close to 20 years experience in the human resources and talent management space. 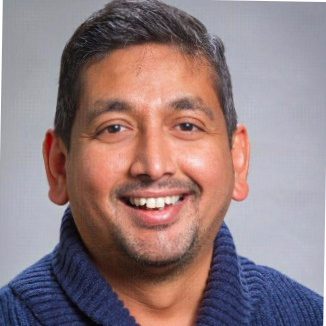 He has developed deep knowledge in people analytics and talent acquisition having undertaken a breadth of roles covering sales, consulting and solutions design. David can be found on Twitter @david_green_uk and LinkedIn as well as via his regular blogs on UNLEASH and LinkedIn Pulse. People analytics is moving from the fringes to the core of the future HR function as CHROs and business leaders increasingly realise that analytics is the centrepiece of a digital agenda for HR. As someone who knows many of the leading practitioners and who has spoken in 25+ cities across the world in the last 18 months, David Green has a unique insight into what's working, what's not and what's forthcoming in the people analytics space. In this closing keynote, David will outline the emerging and future trends in people analytics and provide examples from companies across the globe who are harnessing analytics to i) improve and personalise the employee experience, ii) understand and improve team performance, iii) prepare their organisations for the future of work, and ultimately iv) drive business performance. KEY-NOTE #2: What does the future of advanced people analytics look like? Ghassan Karian Ghassan started his career as a political campaigns manager for the Labour Party (1996-1998) and then as Head off Media Relations for Saatchi & Saatchi’s PR agency. Subsequently, he led the employee engagement efforts at Rolls-Royce as Director of Internal Communications and Engagement. For three years, he was a member of the People Leadership Team at British Gas, leading on engagement, employee communications and the major cultural change programme being undertaken across the business. 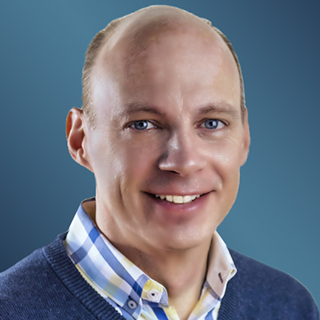 At Karian and Box, in addition to leading a fast-growing business with over 50 professionals, he advises business, HR and communication leadership teams on innovative employee engagement solutions and on providing strategic, actionable insight based on employee analytics and research. Real-world case studies from businesses such as Asda, Aviva, BP, HSBC and a range of other businesses with European operations. Powerful insights into which attitudinal and behavioral factors are most likely to drive which business performance metrics. Examples of the most innovative ways of presenting people data to enable quick understanding of the issues at stake, and to help interpret actionable insights. TRACK A Opening KEY-NOTE: What Gets Other Functions Excited about HR Analytics? Marielle Sonnenberg combines business and academic experience in HR, Talent Management and analytics. She has knowledge and experience as an expert, manager, consultant, lecturer and researcher. Marielle has a strong involvement with academia as the Global Talent Management Effectiveness study Lead at Tilburg University in the Netherlands. 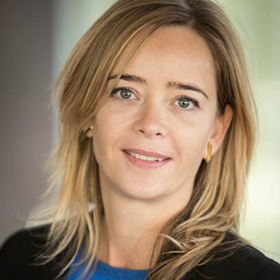 Marielle currently works as Global Director HR Strategy & Analytics at Wolters Kluwer where she is responsible for the design of HR Strategy, reporting and analytics in the organisation, building up the capability, processes and structure. Working in both business and academic arenas inspires her to synergise best-in-class analytical approaches with practical business challenges for maximum impact. This session will focus on how to structure your HR analytics capability in such a way that other functions and the business are positively impacted. Marielle will showcase the HR analytics journey within Wolters Kluwer, the design decisions taken, and the way they work together with other functions and business areas in building their capability. TALK 2A: How to use HR analytics in cultural change? HR analytics are more and more often used in performance management, compensation, recruitment, talent management or development. However this can also be exceptionally useful in such more “vague” areas as cultural change, which executives usually agree to be critical for success, but they frequently struggle to articulate and implement tangibly. It is especially important in case of mergers or acquisitions, when cultural differences often hinder the realization of the deal value. Erste Bank Hungary has recently gone through a major acquisition, when cultural alignment was consciously put in focus from the beginning. Instead of starting the alignment based on (true or false) perceptions, we analyzed the as-is cultures of the to-be merged organizations and defined the cultural vision in the same framework. We used network analysis techniques to select change champions to represent and accelerate the change. In the implementation - among other initiatives - we are also going to use a cultural fit analysis in recruitment to facilitate the change. The presentation will briefly describe the process and its key learnings. TALK 3A: Will People Analysts be always human? In an increasingly competitive space for top talent, a new profession has emerged: The People Analyst. This analyst is in charge of combining all the data a company has on its people to tackle business challenges. How much of the People Analyst’s work can be supported by machines? Many HR-tech companies understand the importance of data in knowing how to manage and engage people effectively. Some platforms consolidate real-time data of a company into one system and give decision-makers valuable insights into their employees from this data. It is interesting and important to discuss the possibility that soon enough People Analytics will be done without the involvement of real human analysts. The implications of that possibility are varied from managerial to ethical. In Tel Aviv there are couple of dozens HR-tech startups which create an ecosystem that someday may replace things we actually do in the field of People Analytics. The presentation will review some examples and explore how innovative technologies can, and perhaps will, redesign People Analytics. Eventually, the People Analyst role will include more components of procurement. Analysts will make less programming on their own and be expert in HR tech and analytics solution. They will learn, in sake of regulations and ethics, to ask vendors hard questions and be more critique about model accuracy and data privacy, and therefore, they’ll contribute not only to a culture of data-driven organization, but also to safety work environment in regards to employee data. A great opportunity to engage in a casual chat with speakers and your fellow delegates. Lunch will be served at the main hotel restaurant, providing a variety of specialties ranging from traditional Hungarian food to best international cuisine. ∙ How to get started with People Analytics? Let’s start with People Analytics… That’s easily said. But making People Analytics a success is a complete different story. For example, what capabilities need to be in place? And no, People Analytics is not only about data science. What about storytelling competencies, business sensitivity, experience with various software packages, knowledge about the coming General Data Protection Regulation (GDPR), consultancy skill, a strategic level of thinking… oh, and great social skills of course. Not to forget about in-depth HR knowledge. Well, superman does not exist. So how do you make sure you have these capabilities in place? Do you collaborate, do you develop these capabilities yourself, do you hire them, do you acquire them? Which knowledge, skills, and attitudes needs to be developed? And where do the gaps lie? 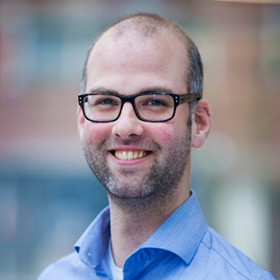 In this session, Dr. Sjoerd van den Heuvel from the University of Applied Sciences Utrecht, will share some key-lessons learned from teaching professionals from Surinam to Malaysia in People Analytics. Are there differences in the struggles organizations and professionals experience? And what then are the common keys to success? Are you ready to be (even more) successful in People Analytics? Trimble is into People Analytics for the last 18 months and we believe we went thru our journey in an unique way. We were not focused on building metrics and dashboards. Instead we focused on collecting questions and answering them with good evidences. We partnered with HR leaders in solving specific organization problem. We did not deploy cool technologies to start with. We did a lot of cool things which helped build a brand and credibility to the outcome of our function. This presentation will be all about sharing our experience which may be interesting perspective to the audience. The presentation will cover how answering a CEO question helped starting HR Analytics journey. The challenges we faced and all the different things we did to resolve them, build a brand and credibility to the work we do and how we play a strategic role in scaling HR as a true strategic partner. 3. What kind of priorities we decided to pursue as part of our journey. There are two key questions for every HR professional. The first is how much of a role of a strategic partner you currently hold and how much leadership you provide in strategy execution and business development through human and organizational development activities. The second is how satisfied you are, professionally and personally, with the current state of affairs. The hypothesis of this presentation is that by raising their expertise in the field of organization design, HR professionals will magnify their influence in their organizations and increase their impact in strategy formulation and execution, and, consequently, improve the organizations’ bottom line. Organizational audit is an integral part of the organizational design and is used to analyze alignment between three levels of planning and decision-making: strategic, tactical and operational with three levels of organizations: organizational, process and human. Organizational audit will equip HR professionals with more profound understanding of the dynamic complexity of their organizations, help them identify causes of business issues and consequences of potential actions, as well as train them to apply systems thinking and judgment realizing organizations’ links and loops. Luk is an experienced CHRO who has lead complex transition projects for compelling blue chip companies. He has an enviable background performing strategic and operational roles for dynamic, change-oriented companies and has managed at board level through business start-ups, turnarounds, acquisitions, divestitures, joint-venture creation, down-sizing and restructuring on a pan-European basis. With his result and people oriented focus, he has made substantial difference everywhere and established deep shifts in perspectives and strategies. 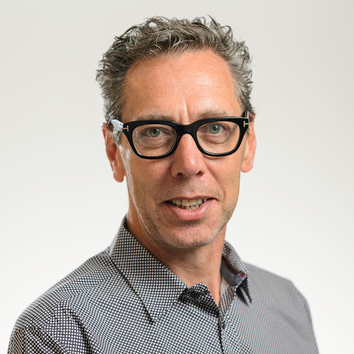 In 2008, Luk started as a Human Capital entrepreneur and established a cutting-edge HC Analytics consultancy, together with academic partner Dr. Jeroen Delmotte (www.linkedin.com/in/jeroendelmotte). Luk is passionate about quantifying and predicting the business impact of people investments. Predictive workforce Analytics is all he does and he is widely recognized as one of the few European top HR intelligence experts. Luk is revered as a leading thinker, educator, influencer and is a well-known content contributor, blogger, columnist and author of many articles. 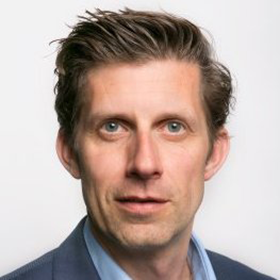 He is an invited speaker at international conferences and helps clients set a higher ambition for strategic HR intelligence, leading consultative projects and strategy meetings with such organizations as Ahold, Deloitte, BNP Paribas, Zurich, ING, KPN, ABN-AMRO, AXA, Philips, Rabobank, UWV, RealDolmen, Acerta, NS, BASF, Besix, Strukton, Bekaert, Randstad, Eandis, AG, Postnl, AON, Raet, to name a few. Sharing learnings from executing over 100 projects in the past 5 years with regards to implementing the People Analytics function. In our projects, we are seeing that many organizations are starting with People Analytics without thinking of an operating model. We have experienced many times that organizations get stuck after a while and are not making (analytical maturity) progress anymore because the lacking 'rules of the game' (= operating model). I will take the participants thru my experiences and learnings in working with organizations that got stuck after a few initial experiments. TALK 2B: How to start an HR Analytics area? 6 years ago I started the journey to establish an HR Analytics team responsible on delivering Operational Reporting and Advanced HR Analytics. It has been an interesting and challenging journey since the concept of HR Analytics was new and had a different meaning across HR and the business. In this journey I had to design processes, establish service agreements with multiple stakeholders (including HR Strategic Partners, HR Centers of Excellence and Business Analytics Groups), and outline the main capabilities and competencies required for this team. Many organizations want to start or are in the process of implementing an HR Analytics group. With this presentation I want to share my experience in establishing an HR Analytics team, main challenges, roadblocks and key tips for a successful implementation. In the last years we were able to move to a more mature analytics model and provide fact-based information for decision making. TALK 3B: Data-driven employer branding. How to use people analytics when shaping the employer brand? · What is data based employer branding? Presentation will focus on key aspects learned during building, scaling and managing Business Intelligence team in Amazon EU Operation Recruiting word. Presentation will follow my team history from the time we got mission to build data driven recruiting org till now where we look on future of Business Intelligence/Analytics in recruiting word. This presentation will be split in 3 parts: 1) Building Organization 2) Scaling Org 3) Future. In second part presentation will focus on the aspect of scaling BI/Analytics organization. It will touch critical aspect of topic such us prioritization, team's skills demands and planning. 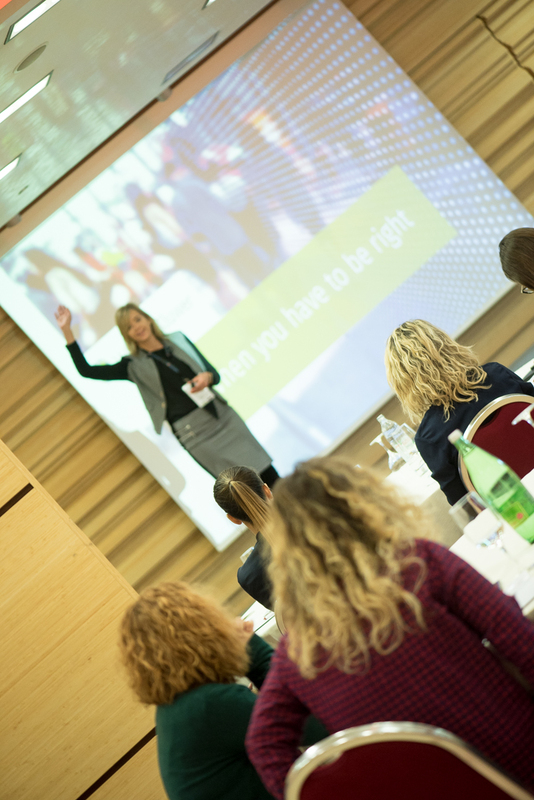 In this part I will also focus on our key success factor - customer orientation and show how we think about customers and how does it impact our work. Last part of presentation before closing will focus on how our team see future of analytics in Recruiting and clues on how you can prepare for it. Based on our org development we see certain trends that we believe will evolve into some trends in the future. Presentation will be supported by slides of tools, solutions we use so users can see how it really works - obviously those tools may present dummy data during presentation due to the confidentiality requirements. · All managers/employees are customers in personal life. · They bring in the same expectations towards HR - How can HR justify the value of its activities? · What are the most tangible parts? Is data & analysis the part of this? Asking HR controlling experts to do HR Analytics with Big Data tools is rather idealistic. HR has to also learn how the HR systems work, what are the essential focus areas and; has to understand what delivers meaningful value for the business customers. The customers are demanding, the technology changes rapidly and both factors are requiring new capabilities inside HR. 1. Step 0 is ensuring sustainable data quality, where most of us face challenges - less is more. 3. Bringing basic master data close to employees is one way to improve accuracy and satisfaction at the same time. · Understand the impact of HR digital transformation. · Link business strategy with technological advances. · Realize benefits for your organization. Every part of business — and that includes HR — is going through a digital transformation marked by the acceleration of business activities, processes, skills and work models to benefit from the opportunities made possible by modern technologies. While HR has been on this journey for years, the pace of change in technology and its impact on business is only accelerating. It’s no longer enough to simply select a new HR technology provider; HR leaders need a new mindset and set of strategies to create an HR function that is built for the future. Understand how your organization will benefit from building an HR digital transformation strategy, how to develop the strategy and how to turn the strategy into actionable plans. You’ll learn how to infuse HR technology strategy into tactics designed to move the HR function forward. 1. Discover how to leverage true business benefits and create business impact from HR technology. 2. Evaluate how to ensure success and derive ROI from HR Technology implementation. ∙ How they are utilizing technology to realize HR strategy and objectives. ∙ Considering the incorporation of social technology tools within your HR department and business. ∙ Meeting the needs of a more tech-savvy workforce. ∙ Developing ‘technology proponent’ capability within your HR function. It's advisable to come early, as there are many delegates to be registered. The Masterclass will commence at 09:00 sharp, in order to meet the event schedule. I run a large LinkedIn group of 1.2 million members and I always wanted to get them more interested in HR Analytics. This conference has been able to give me some really good take-aways, that hopefully I can get them excited about it in a LinkedIn group and talk up more about it. The ManpowerGroup has chosen HR & PEOPLE ANALYTICS FORUM, as a perfect place to show that we are supporting the HR community fully in today's challenging environment. As a lead sponsor, we are very, very happy and we're already planning to support the conference next year. Conference really fulfilled my expectations, listening to speakers, their stories, their experiences, but also exchanging with colleagues. Asking them questions, how they've sold difficult situations, made decisions upon them. I really learned a lot from delegates, not only from speakers. The conference starts with a plenary key-notes session in a joint room. After the 3 key-notes, the conference room will be divided into 2 sections to accommodate 2 separate tracks. Each presenter has 20-25 minutes for the speech + 5-10 minutes reserved for Q&A with the audience. The last speech of the day is the closing key-note by David Green. 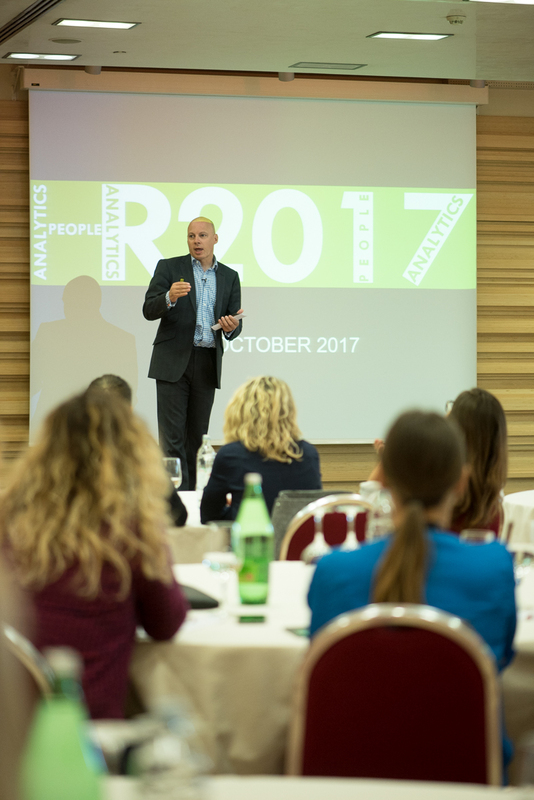 Altogether, there is a conference chair's address key-note, 2 other key-notes, closing key-note and 12 corporate cases presented throughout the HR & PEOPLE ANALYTICS FORUM, making it a total of 16 presentations. There is also a plenary panel-discussion in the afternoon part of the program. Due to the international format of the conference, English is the primary language. GDPR, anyone? Hello! No, no no, we don’t sell delegates’ details as leads to third parties (sorry Sponsors!). Naturally, we keep your data on our secured servers, as we will keep you posted about next edition of the HR & PEOPLE ANALYTICS FORUM in 2019. You will get a maximum of 3 email messages from us and that’s it. We leave it up to you to decide with whom you’d like to share your info. Organizing conferences, seminars and other business events, focused on topics including digital transformation, workforce analytics, human capital management, customer engagement, future of work and project management. HR & PEOPLE ANALYTICS FORUM is the flagship conference-series in our events portfolio.